io9 is proud to present fiction from Lightspeed Magazine. Once a month, we feature a story from Lightspeed’s current issue, and this month’s selection is “The Archronology of Love” by Caroline M. Yoachim. You can read the story below or you can listen to the podcast. io9 is proud to present fiction from Lightspeed Magazine. Once a month, we feature a story from Lightspeed’s current issue, and this month’s selection is “Self Storage Starts with the Heart” by Maria Romasco-Moore. You can read the story below or you can listen to the podcast. io9 is proud to present fiction from Lightspeed Magazine. Once a month, we feature a story from Lightspeed’s current issue, and this month’s selection is “Life Sentence” by Matthew Baker. You can read the story below or you can listen to the podcast. io9 is proud to present fiction from Lightspeed Magazine. Once a month, we feature a story from Lightspeed’s current issue, and this month’s selection is “With Teeth Unmake the Sun” by A. Merc Rustad. You can read the story below or you can listen to the podcast. io9 is proud to present fiction from Lightspeed Magazine. Once a month, we feature a story from Lightspeed’s current issue, and this month’s selection is “A Love Story Written on Water” by Ashok K. Banker. You can read the story below or you can listen to the podcast. io9 is proud to present fiction from Lightspeed Magazine. Once a month, we feature a story from Lightspeed’s current issue, and this month’s selection is “Queen Lily” by Theodora Goss. You can read the story below or you can listen to the podcast. io9 is proud to present fiction from Lightspeed Magazine. Once a month, we feature a story from Lightspeed’s current issue, and this month’s selection is “Her Monster, Whom She Loved” by Vylar Kaftan. You can read the story below or you can listen to the podcast. io9 is proud to present fiction from Lightspeed Magazine. Once a month, we feature a story from Lightspeed’s current issue, and this month’s selection is “A Bond as Deep as Starlit Seas” by Sarah Grey. You can read the story below or you can listen to the podcast. io9 is proud to present fiction from Lightspeed Magazine. 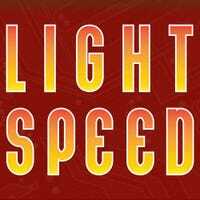 Once a month, we feature a story from Lightspeed’s current issue, and this month’s selection is “A Song of Home, the Organ Grinds” by James Beamon. You can read the story below or you can listen to the podcast. io9 is proud to present fiction from Lightspeed Magazine. Once a month, we feature a story from Lightspeed’s current issue, and this month’s selection is “Godmeat” by Martin Cahill. You can read the story below or you can listen to the podcast. io9 is proud to present fiction from Lightspeed Magazine. Once a month, we feature a story from Lightspeed’s current issue, and this month’s selection is “What is Eve?” by Will McIntosh. You can read the story below or you can listen to the podcast. io9 is proud to present fiction from Lightspeed Magazine. Once a month, we feature a story from Lightspeed’s current issue, and this month’s selection is “The Quiet Like a Homecoming” by Cassandra Khaw. You can read the story below or you can listen to the podcast. io9 is proud to present fiction from Lightspeed Magazine. Once a month, we feature a story from Lightspeed’s current issue, and this month’s selection is “The Streets of Babel” by Adam-Troy Castro. You can read the story below or you can listen to the podcast. io9 is proud to present fiction from Lightspeed Magazine. Once a month, we feature a story from Lightspeed’s current issue, and this month’s selection is “The Faerie Tree” by Kathleen Kayembe. You can read the story below or you can listen to the podcast. io9 is proud to present fiction from Lightspeed Magazine. Once a month, we feature a story from Lightspeed’s current issue, and this month’s selection is “Longing for Stars Once Lost” by A. Merc Rustad. You can read the story below or you can listen to the podcast. io9 is proud to present fiction from Lightspeed Magazine. Once a month, we feature a story from Lightspeed’s current issue, and this month’s selection is “The Last Cheng Beng Gift” by Jaymee Goh. You can read the story below or you can listen to the podcast.